Charismatic Head Coach Andrea Trinchieri has plenty of proven talent for his new-look squad as Bamberg attempts to further establish itself as one of the strongest teams in Europe. Experienced guard Daniel Hackett will be determined to make up for lost time after missing most of the last season through injury and it’s a similar story for sharp-shooting forward Quincy Miller after an injury-dogged year in Tel Aviv. Another instantly-recognizable signing is battle-hardened Ricky Hickman, while well-regarded Luka Mitrovic was snapped up from Crvena Zvezda mts Belgrade to provide a boost at power forward. Another experienced newcomer is guard Bryce Taylor from German rival FC Bayern Munich and the roster is completed by big man Augustine Rubit, who impressed in 7DAYS EuroCup action with ratiopharm Ulm last season. The brains of an intriguing backcourt will be Coach Trinchieri’s vastly experienced and trusted right-hand man Nikos Zisis. His pairing with fellow former EuroLeague champion Ricky Hickman should develop into one of the most astute and savvy combinations in the competition. More admirable court intelligence – and disciplined defensive excellence – will come from new arrivals Daniel Hackett and Bryce Taylor, while a dangerous scoring punch is provided by three-point shooting specialist Lucca Staiger. Rising stars Maodo Lo, Aleksej Nikolic and Malik Muller will deliver youthful exuberance and creative flair, forming a group of experienced and deeply varied players who will give Trinchieri an endless range of game management options. The new arrivals will be crucial in shaping the direction of Bamberg’s frontcourt, and Quincy Miller, in particular, is sure to excite the Freak City fans with his show-stopping blend of persistent three-point shooting and athletic dunks and blocks. Another key performer at both ends of the court will be the versatile Mitrovic, while long-serving captain Elias Harris will hope for better luck with injuries after barely featuring last season. 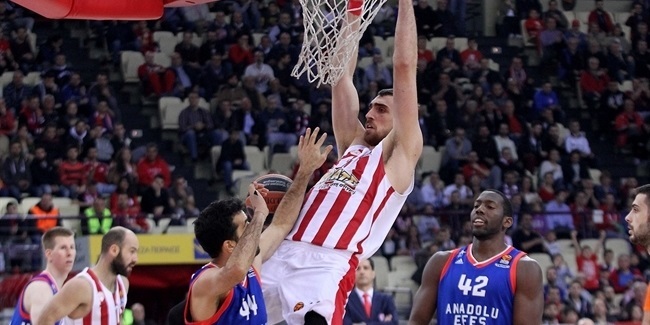 In the paint, the always-dependable Leon Radosevic is entering his eighth EuroLeague season and outstanding rebounder Augustine Rubit will be eager to shine in his first. A relatively small but extremely mobile frontcourt is completed by two returning players, reliable Patrick Heckmann and rising star Louis Olinde. Quincy Miller simply exploded onto the EuroLeague scene during his debut season with Crvena Zvezda in 2014-15 when he earned a place on the All-EuroLeague Second Team with averages of 14.1 points, 5.7 rebounds and 1.5 blocks. Big things were consequently expected as he headed to Maccabi last year, but a serious injury intervened and he was only able to play four games. Now Miller is back, desperate to restore his reputation, and perhaps there is no better stage for him to showcase his formidable talents than Bamberg, where Trinchieri will look for the feisty 24-year-old to be his team’s X-factor. It all should add up to make Miller a lot of fun to watch, but not to play against. Bamberg assembled a group of players perfectly suited to execute Trinchieri’s meticulously applied brand of team-first, patient and intelligent basketball. 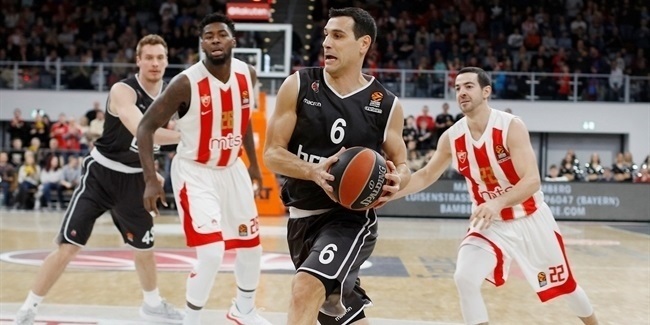 Few teams possess more backcourt experience or game intelligence than Bamberg’s combination of Zisis, Hackett and Hickman, who have a combined total well in excess of 500 EuroLeague appearances. 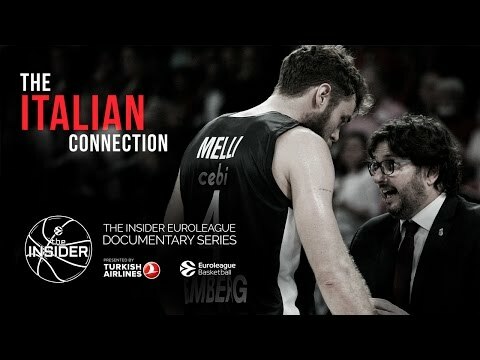 Put together the leadership of that trio, Trinchieri’s game plans and the ambition of talented newcomers Mitrovic and Miller and Bamberg looks to be a serious force to be reckoned with. The aim will be to exceed the achievements of last season, when only a handful of infuriatingly narrow losses prevented a playoff spot. With the loud backing of the Freak City faithful guaranteed, Bamberg should be just as difficult to beat this season – and don’t be surprised if they post quite a few more Ws in the win column.